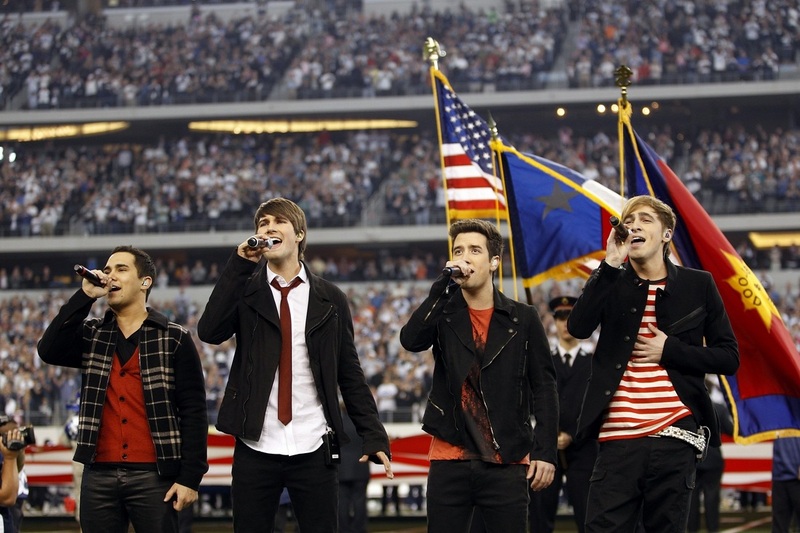 Big Time Rush – one of the most underrated bands in the world, and you guys deserved so much more. People always overlooked you just because you started off as a show from Nickelodeon. So what? Everyone has a start. But, look how far you’ve come – 4 seasons of television with millions of viewers worldwide (with Big Time Movie reaching 13 million views), released 3 albums (all achieving gold certification), 5 headlining tours where you performed for over thousands of fans, and so much more. 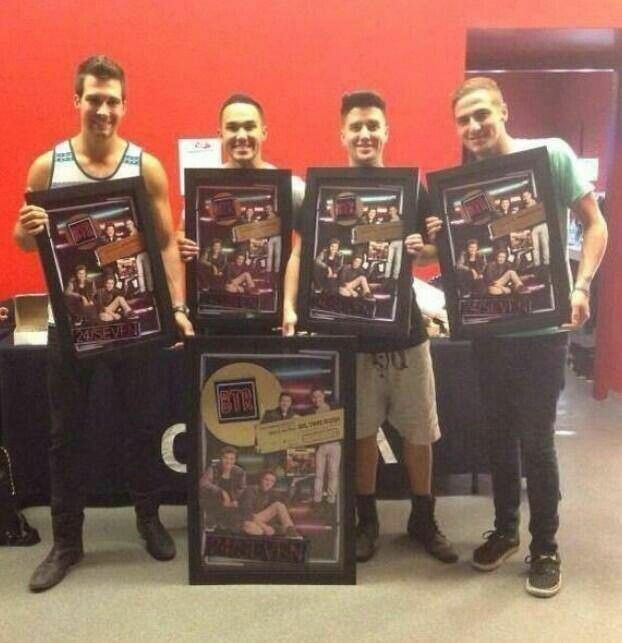 Fame and money wasn’t your biggest concern, what mattered was, us, Rushers. You guys are funny, multi-talented, but down-to-earth and humble, genuine and work your butts off. You taught us so much – to be ourselves, to love ourselves as the Cover Girls (and boys) that we are, to live life big time, to not be afraid to mess up and do it like nobody’s around. You reminded us that we’re not invisible, and that we’re not alone. Carlos PenaVega, you taught me anything is possible, to dream big and never give up. You’ve shown us what it was like to fall into a dark place and pull yourself back up, to the amazing man, husband, and father that you are now. I’m so proud of how far you’ve come, and thanks for letting us know we aren’t alone. Logan Henderson, you taught me to stick with it, go with the flow, because everything will fall into place. You taught me to be myself, and the right people will find their way into my life. Kendall Schmidt, you always taught us to stop being what society wants to shove down our throat, to embrace ourselves and our insecurities. You taught me to find my passion and run with it, and that’s how I ended up studying Media and Communications, because you guys were my passion. And James Maslow, you taught us that haters and bullies do not define you. You outgrew all that, and look where you are now. You taught me that success comes when preparation meets opportunity, and you taught me not to be materialistic, that what matters is the people around me – family, friends, loved ones. You guys always cheered me up when I was down, and unbeknownst to you, you guys were the light during my darkest times. 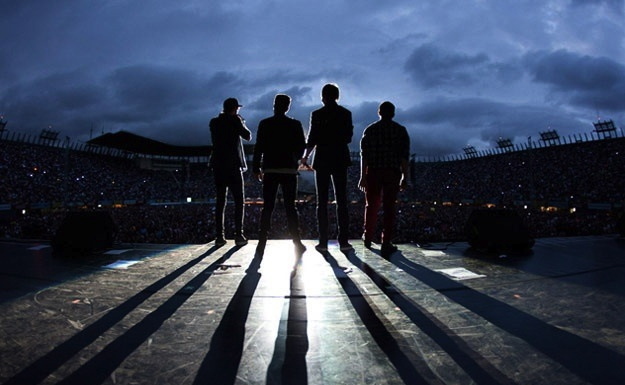 You brought millions of Rushers worldwide together, and we all became a family. Heroes to many of us, especially to me, so thank you Bandana Man, Slapshot, The Surgeon, El Hombre Del Flaming Space Rock Man (Rushers, you get me!) for everything. 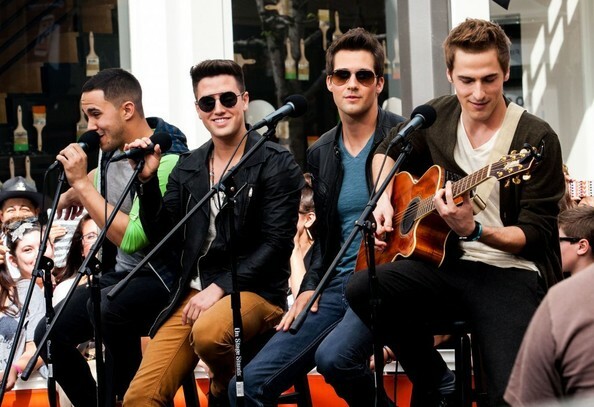 You helped me to find another family, my Rusher family. 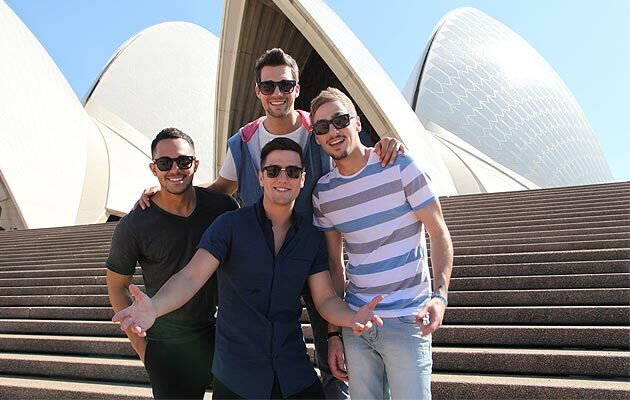 As Rushers would remember, Kendall has said, more than once, “Opportunities like these come once in a lifetime.” And mine came in June 2013, when BTR announced they would be performing at Slimefest in Sydney, Australia. It was such huge news for my friends and I, because we knew that the likelihood of seeing them in tour in Asia was very low, and we might not get another chance. So after 3 years of watching millions of other fans around the world get their chance to meet the guys, seeing their “Meet and Greet” sessions, only getting to watch concerts on YouTube. After imagining all the scenarios of what it would be like to watch them perform their songs live, what it would be like to meet them, talk to them and hug them. That moment was finally coming for me. Sadly, only 2 of us were able to make it, but all four of us forked in to get the guys some customized shirts, and we also got the help of other Singaporean Rushers to create and compile a scrapbook for the guys. After a month of planning, from our itinerary to preparing gifts for the guys, the day was finally here. We landed a day before the show, and we spent a couple hours waiting outside their hotel, but no luck. 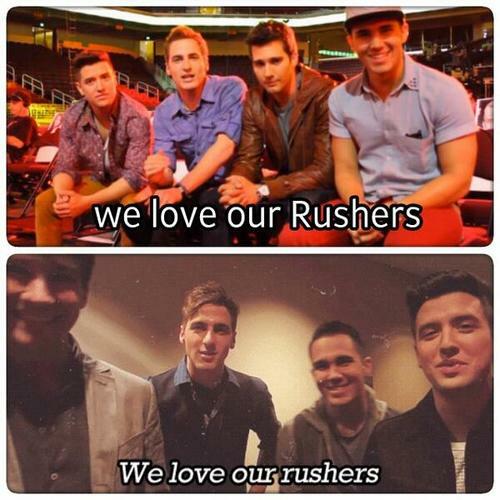 But hey, we’re Rushers, we never give up. The next day – which is also 4 years ago today, 27 September 2013 – the day of their Slimefest show, was one of the best days of my life. We went by their hotel again to try our luck, and this time, a miracle happened. My friend spotted James and Carlos at the lobby, and we went up to them. They heard that we came from Singapore and gave us a hug, and thanked us for the amazing gifts. We managed to talk for a couple minutes and get a photo before they had to leave for the gym. It all happened too fast. My friend and I were so starstruck seeing them that we realized we had so much we didn’t get to say, so we decided to wait till they returned. It was spring then, and the weather was pretty cold, especially compared to Singapore’s weather, so I don’t think either of us was too prepared for it. We waited in the cold for an hour when they returned. I remember seeing them across the street and I guess my sub-conscious decided to wave, and the amazing thing was James actually waved back. This time, we managed to get their autographs, and when I handed James the picture, he said it was a flattering picture, and I melted at those words. They told us they were going to the show in about an hour or so, and we waved goodbye. By the time we got to the show, the mosh pit was already packed. But hell, I definitely did not regret it, I mean, we got to spend a couple minutes with the boys and that was… AMAZING. 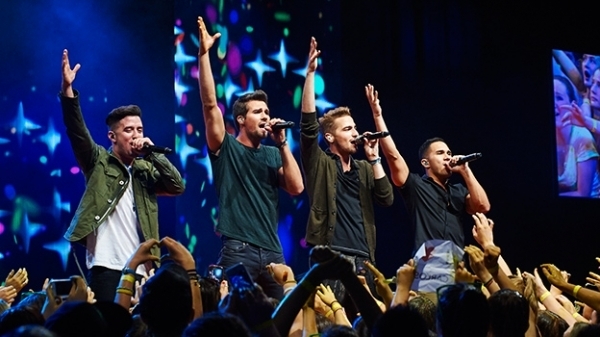 Kendall also performed with Dustin as Heffron Drive, and the last act, saving the best for last, BIG TIME RUSH. We made a giant board that said “Singapore Rushers <3 BTR” and we were trying to wave it as we took pictures, screamed, sang and danced along. They only performed 3 songs – Windows Down, 24/Seven, Confetti Falling – but it was definitely the best 10 minutes ever. And the best thing, we had bought tickets for both shows. I mean, all the way here, why not? After the first show, we washed off all the slime and grabbed some food and just waited in line till the next show. Hours later, the gates opened for the second show, and we ran as fast as we could to get to the front of the stage. The amazing thing about the Slimefest event was that there was no barricade at all separating us from the stage. During this second show, we decided not to take any more pictures or anything, plus our batteries were all drained by then. It was great having been to the first show and taking the pictures already, and now just getting to enjoy the experience. It was so wonderful getting to grab all of the guys’ hands as they sang. Even till today, that day is still a blur. It still feels like a dream, like it didn’t actually happen. But honestly, I am really grateful for getting this opportunity, because this was one of their last performances as a band, and thankful that it so happened to be during my vacation period, and even more thankful to my parents for allowing me to go on this trip with my friend and her parents. 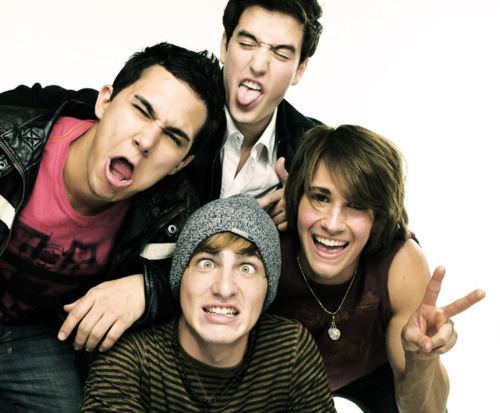 I miss you guys as a group, and I know many Rushers worldwide miss you too, and we really wish there would be a reunion someday soon, and hopefully a worldwide tour this time. But, whether that happens or not, I wish you guys all the best in everything that you do, and I can’t wait for more projects, be it music, acting, or anything else. 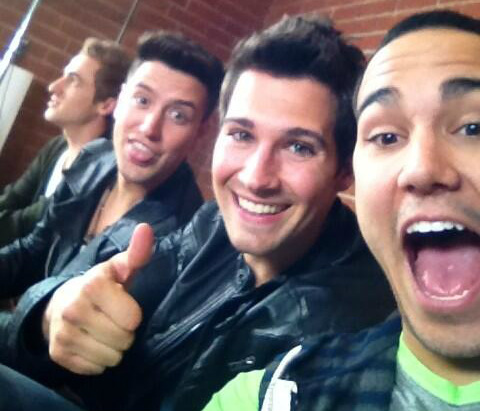 I will always love and support you guys, as solo artists, or as BTR. You have all saved my life, more than once, so you’ve won yourself a fan forever.